Oh, wowowow -- that's so amazing! What a thrill to see the critters together -- love it! Wonderful capture of that interesting "friendship!" WOw a cat and a deer! 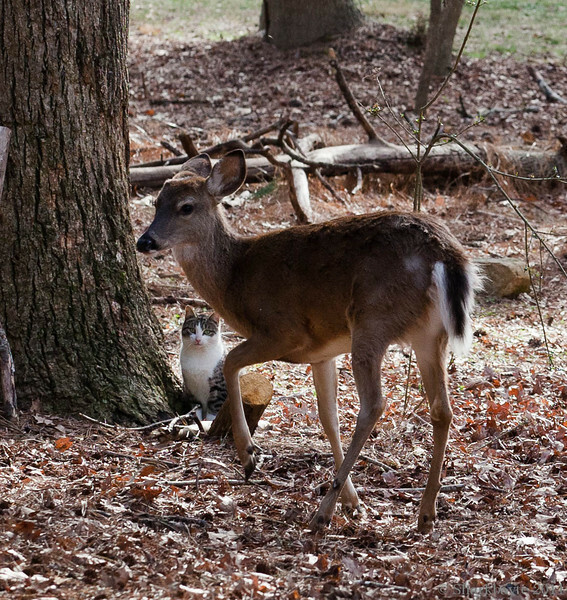 Great capture, sweet cat and deer. What a great catch! I love the expression on the cat's face. Your own little Animal Kingdom, Very good. Wow - love how the cat's just calmly sitting there watching.